AlbionFit has been one of my favorites from the start. They were one of the first companies I blogged for and I have loved working with them since and watching them grow! I have not only loved working with them but them, but they continually surprise me wither their amazing new products and quality! 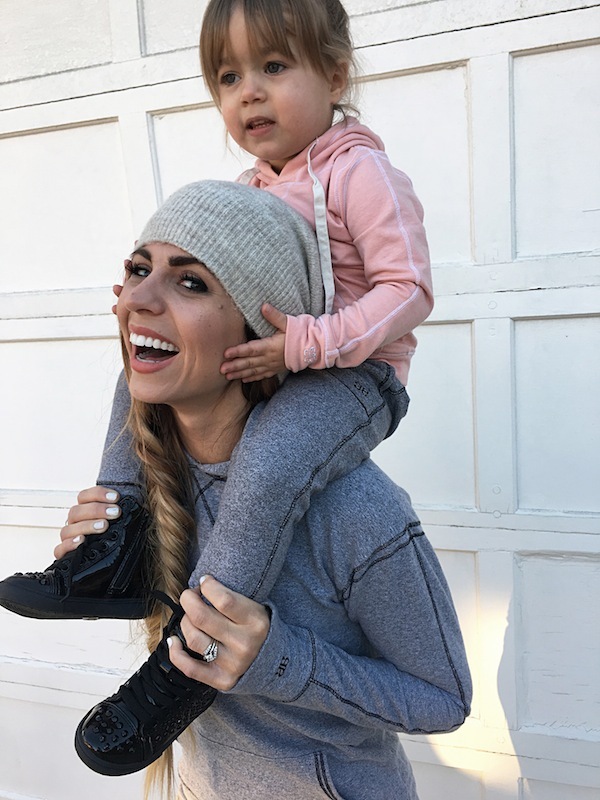 For being a small local shop, they have proven to be one of the best in the business and since coming out with a little girls' line of comfy workout wear, I have fallen even more in love! As much as I was planning to do a more staged, fancy shoot, I realized that showing you how we live in our AlbionFit was so much better! 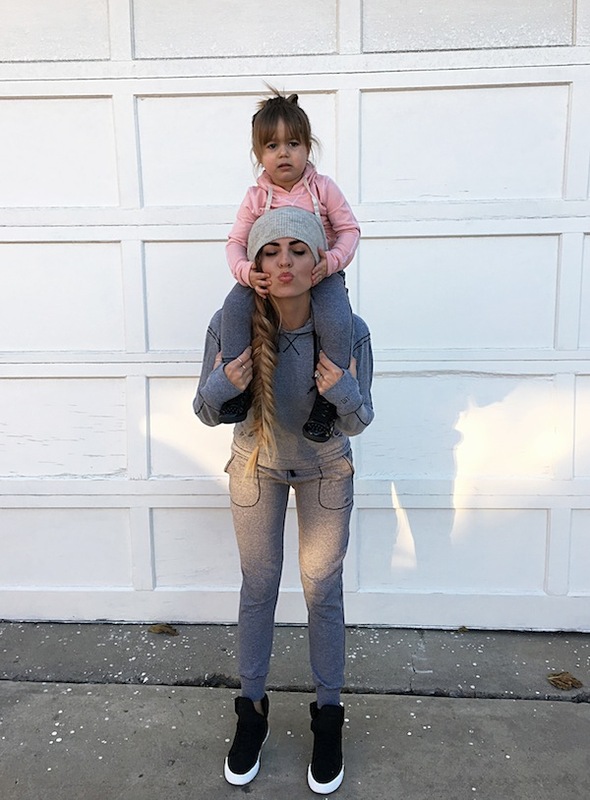 If you were to pop in on any given day, you'd most likely see me running around in a comfy pair of AlbionFit leggings or these amazing joggers! 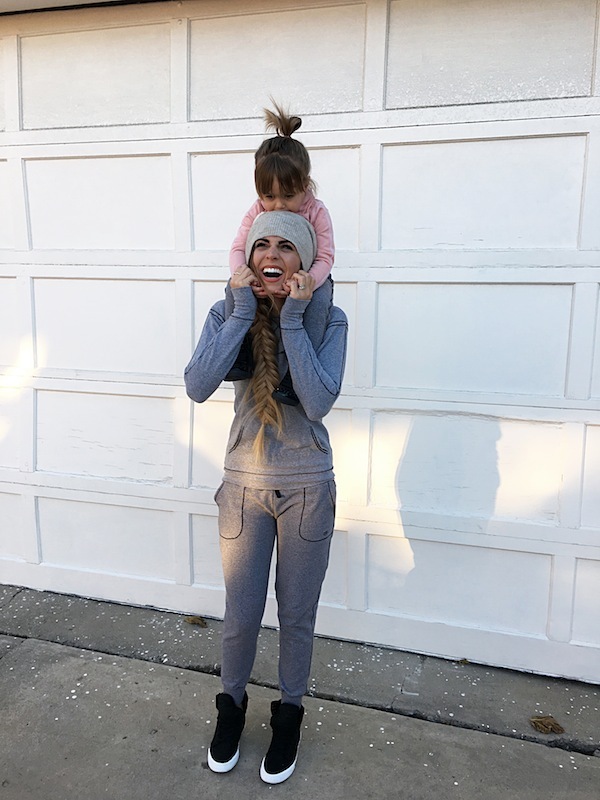 They have become my newest staple "comfy activewear" and now they are Liv's as well! Very fun and beautiful photos!